There's almost nothing you can't do with a smartphone these days -- from meeting your soulmate to navigating the country to watching Netflix. And now, you can also conduct blood tests for sickle cell disease. 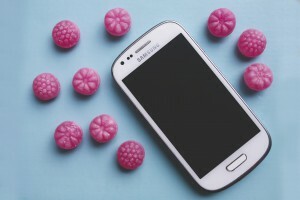 According to Clapway (a news site focusing on science, technology, and related topics), a research team headquartered at the University of Connecticut has used a 3D printer and the power of magnets to develop a plug-in attachment for the Samsung Galaxy S4 that, in combination with a custom Android app, can diagnose and monitor SCD. Clapway reports that this test is simpler and cheaper than typical methods and only a small sample of blood is needed for the device to do its thing. "The magnets have like poles facing each other. The salt solution is more susceptible to the resulting magnetic field than the red blood cells. This set up means that the blood cells levitate within the fluid as they pass through the tube between the magnets. This upward movement is captured by the smartphone camera. Since the affected red blood cells in the solution are denser than normal red blood cells, they respond differently to the magnetic field: the affected cells levitate less than unaffected cells." Amazing, right? Read more about this new advancement here and here. The third episode of this new, hit show's first season, entitled "Haunted House," aired on October 7, 2015, and within the first 12 minutes, they were already bringing up SCD. 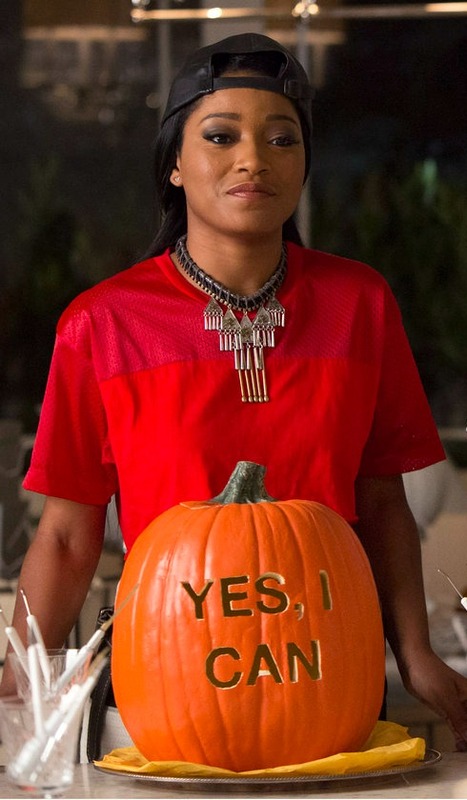 In a coffee shop scene featuring the characters Earl Grey (played by Lucien Laviscount) and Zayday Williams (played by Keke Palmer), the two chat about how the Greek system has a bad rep and may be obsolete in a decade or so if nothing changes for the better. Earl Grey thinks Zaday's bid for sorority house president could be that change. He suggests she throw a party as a fundraiser for a cause that's close to her heart. Her response? "Well, I would like to see sickle cell anemia eradicated in our lifetime." Her plan is to host a haunted house on Halloween to raise money for sickle cell disease "to show [she's] a serious candidate and it's not just a popularity contest." Watch the full episode here. During the Oct. 15 episode of "Grey's," called "Old Time Rock and Roll," we see Dr. Stephanie Edwards (played by Jerricka Hinton) struggle with a new treatment plan for a recent brain surgery patient. The treatment involved getting the patient to walk a few steps from the bed to the chair -- only one day after her severe head trauma. The pain that the patient was going through proved too much for Stephanie to handle and we find out why in a quick backstory reveal: Stephanie had participated in a painful sickle cell clinical trial as a child and the treatment plan for the brain surgery patient brought up those memories. According to Variety, Jerricka actually pitched that back story to Shonda Rhimes, as Jerricka's cousin really did go through a painful SCD trial and grew up to become a doctor. Watch the full episode here. It's so good to see network television tackling such a serious, often under-recognized disease and bringing it to light for millions of viewers who may not otherwise be exposed. The fact that these two shows found sickle cell important enough to spotlight in their own ways is a really good start and we hope that writers of other shows take their lead. What do you think of the episodes? Tell us in the comments below! Unless you're a sickle cell warrior yourself or the caretaker of one, it can be difficult to fully grasp the painful realities that people with SCD live through on a regular basis. Lately, there have been some amazing films produced in effort to bring these struggles to light, and they have done wonders in helping increase awareness, but to get a glimpse into the real life of an actual person living with SCD, you'll need to check out the new 20K Films documentary, "Sick Cells." Following the day-to-day life of warrior Marqus Valentine, which includes a look into his family's fridge that's not only filled with food, but also with dozens of IV bags and medication, "Sick Cells" takes the viewer inside the journey of Marqus and his family. You'll also be privy to video diaries of his hospital stays and painful nights, the process he and his family must take to get ready for out-of-town trips, and many other aspects of his life. "I just want the world to realize that this illness isn't what a lot of people think or isn't what you read in a textbook," Marqus shares in the "Sick Cells" trailer. "This illness is attached to that person and that person's family's life. It affects your life. It affects the people who love and who are around you's life." Screenings for this documentary are planned to begin in the summer of 2016, but until then, you can watch the "Sick Cells" trailer below. You also have the opportunity to help fund the production donating here. 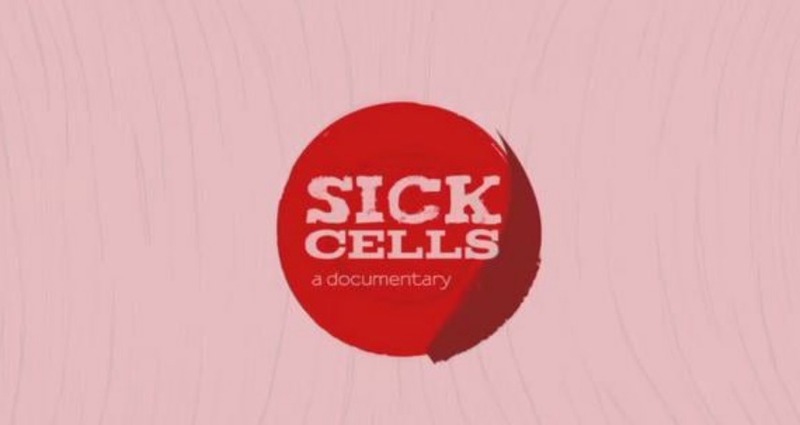 Sick Cells: A Documentary from 20K Films on Vimeo. Sickle Cell Awareness Month may have ended, but the work continues. One such example comes from Denise Weaver Ross, an Albuquerque, New Mexico-based artist and poet, heart transplant survivor, and widow who lost her husband to SCD more than 10 years ago. For the past three years, Denise has been channeling her pain and experiences into a project called "House of Cards - The Whole Deck." 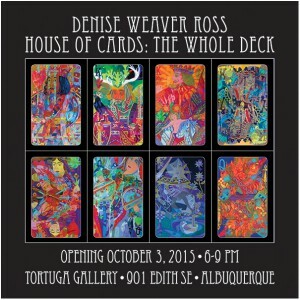 This life-sized collection of 56 playing cards was inspired by her husband's death, as well as other events that she and those around her have faced throughout the years, reports the Albuquerque Journal. "To me, it was a great way to illustrate what you go through when you lose somebody," Denise told the Journal. If you live in the Albuquerque area, be sure to see the paintings in person at the Tortuga Gallery from now through October 31. Each painting is also up for auction through the end of the exhibit and all proceeds totaling more than $500 per painting will go to sickle cell disease advocacy organizations. Bid on a painting here, learn even more about the making of these cards here, and order an actual card deck for yourself here.